Saying Spirited Away is weird would be an understatement. I’m talking about a sentient pile of mud, a giant baby and an old man with eight limbs. However, from the very first note of the film’s theme, I knew it was going to be a great movie. For those who don’t know, Spirited Away is an animated movie made by Hayao Miyazaki and released by Studio Ghibli in 2001. It was a worldwide success and was acclaimed by many critics, calling it the best animated film of the 21st century; the fourth best film of the century and even the best movie of the century by The New York Times. It won the Academy Award for best animated feature film in 2003 and currently is the second highest-grossing anime film, behind the 2016 movie Your Name. The movie tells the story of 10 year-old girl Chihiro. She’s going to her new home with her parents when they stumble upon a red tunnel leading to the world of spirits. They enter the tunnel and Chihiro’s parents get turned into pigs by evil witch Yubaba. Chihiro must work in Yubaba’s luxurious spirit-reserved bathhouse in order to save her parents and get back to the human world. The music score is composed by Joe Hisaishi, who is responsible for many of the scores in Miyazaki’s movies. 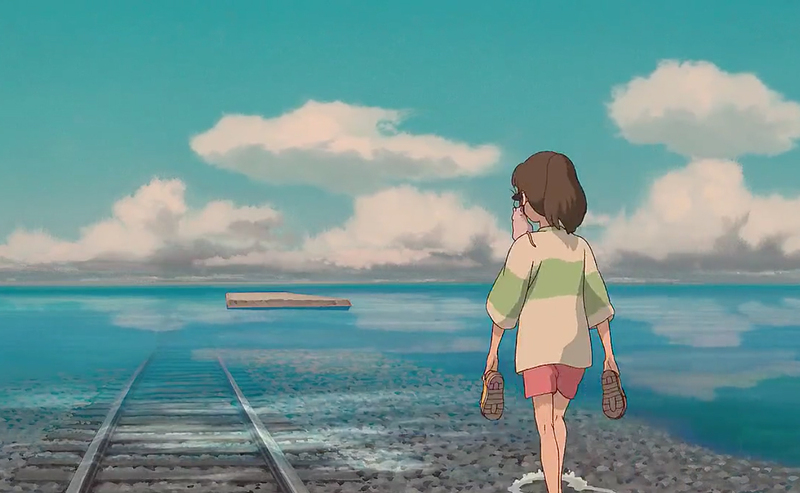 The movie’s theme, One Summer’s Day, is considered by many one of the best Ghibli music. Like I said, Spirited Away is very strange. Every creature in the spirit world is unique and weird in its own way. For example, one of the bathhouse workers is a talking frog. For some, this weirdness may be a little off-putting, but according to me, it gives the movie a lot of charm and personality. Under all the weirdness lies a meaningful story about coming-of-age and overcoming obstacles. Chihiro really grows up during her journey in the world of spirits. It’s fun to see that at the beginning, Chihiro doesn’t want to move, but at the end, Chihiro accepts it. To wrap up, Spirited Away is as good for adults as it is for younger audiences. It delivers a good message and even though it’s not an action-packed movie, the quiet and emotional moments make it really worth seeing.